Mirror, mirror, on the wall. Who is the girliest of them all? The fresh-faced popster Taemin has gotten the public‘s vote for his dainty looks. He came out tops in a poll of “Male Idols Prettier Than Women” in a March episode of Super Idol Chart Show, a variety show on Korean TV channel MNet. He beat the likes of BigBang’s G-Dragon (ranked third) and Super Junior‘s Kim Hee-chul (ranked fourth). Lately, it looks like the flower boy is going for a “manlier” image. 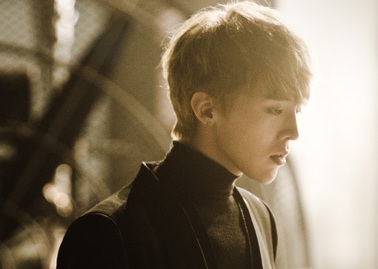 In singer BoA’s 2013 music video Disturbance, he sports a shorter hairdo as the brooding leading man. 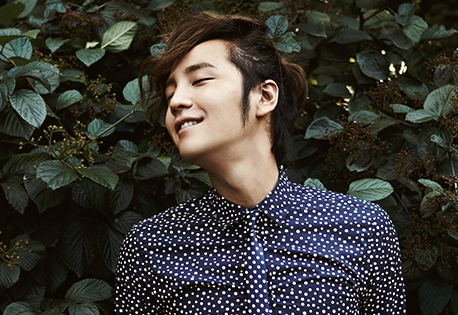 Popular Korean actor Jang Geun Suk nearly gave his legions of fans a heart attack when he uploaded a photo of his “girlfriend” on his Twitter account two years ago. The Twitter post was accompanied by a photo of a bow-wearing, feminine-looking person with one manicured finger placed on pouting lips. It turned out that the “girlfriend” was himself in drag. Nicknamed Asia Prince, for his overwhelming popularity in Asia, Jang’s official Twitter and Weibo feeds are chock-full of expertly taken, dreamy-looking selfies. For the longest time, netizens have left comments discussing the femininity of the breakout star of hit drama You‘re Beautiful (2009). Never mind that he has been romantically linked to his You’re Beautiful co-star, Park Shin-hye. The self-deprecating fashion chameleon has no qualms milking his girly charms. He turned up in drag in his music video Crayon, complete with flowing blonde tresses. What is more, the fearless fashionista makes women green with envy with his knack for fashion, extensive wardrobe and invitations to exclusive Paris Fashion week shows. Even G-Dragon‘s boss Yang Hyun-suk has expressed his amazement at his protege’s dedication to fashion. Yang, the chief executive of YG Entertainment, said in an article published on the company‘s website last year: “G-Dragon is known for his amazing fashion sense. G-Dragon pulled off siren red lipstick with such finesse in a South Korean cosmetics advertisements last year, he would make you blush. Recently, there has been speculation that he has broken up with rumoured girlfriend, Japanese-American model-actress Kiko Mizuhara, 23. 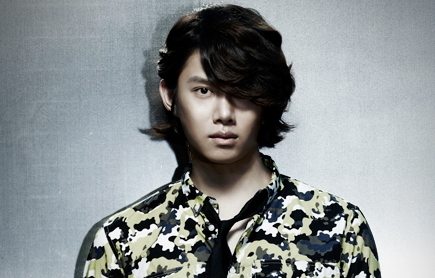 Oozing with confidence, Heechul once unabashedly declared that he looks like a doll. He has no qualms putting his androgynous looks to good use -- entertaining with his uncanny ability to impersonate women. The versatile entertainer has transformed into female stars such as Lady Gaga (donning a blonde wig mimicking her famed bow hairdo) and Jessica from K-pop girl band Girls’ Generation (acting coy and showing off his slender figure in a red cheongsam). No wonder Heechul emerged the champion in a Top 10 Cross-Dressing Idols poll done by MTV K in 2011. Coming in second on the charts were the Shinee boys, and BigBang‘s G-Dragon placed third. Even Heechul’s ”wife“ has admitted in interviews that he is far from her ideal mate, whom she prefers to be more masculine. Taiwanese singer Puff Kuo is his on-screen ”wife“ for his ongoing stint on virtual celebrity marriage reality show We Got Married Global Edition. Airing on cable here, the show depicts celebrities going through the dating ritual, from awkward first dates to tear-jerking break-ups and a temporary ”marriage“ that lasts for a stipulated time. Kuo, of girl group Dream Girls, has since been blown away by her hubby‘s gentlemanly behaviour, like when he offered her his coat when she felt cold. 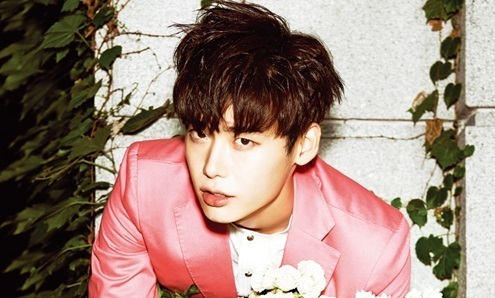 Rising actor Lee Jong-suk has enviable delicate features and a petite face. Then, there is his fair complexion that some girls can only dream of attaining, even if they slap on sunscreen and whitening products. Towering at 1.86m tall, he started his career strutting the catwalk. He switched to acting in 2010, starring in bit parts in dramas such as Prosecutor Princess and Secret Garden. Though detractors have dissed Lee online as a tad too womanly for their liking, the criticism has not dampened his fans’ love for him. He starred as a mind-reading student with a mission to protect his benefactor in popular drama I Hear Your Voice (2013) and went on to leading man roles on the big screen - as an aloof competitive swimmer in the film No Breathing (2013) and as a cowardly Casanova in Hot Young Bloods (2014). His good friend, actor Kim Woo Bin, dished in an interview last year that Lee loves to talk about marriage - even though he does not have a girlfriend. Hopeful fans everywhere rejoiced earlier this year, when Lee said that he was not dating anyone.